We Have Moved Our Dancing Feet! We’ve moved! Our new website EdinburghSalsa.com is coming soon! There is an abundance of dance classes and groups in Edinburgh teaching you how to move your feet. Even if salsa isn’t something you’ve considered you’ll be surprised by how much fun and what a great way to exercise dancing salsa can be! Cuban Salsa School – The young dynamic team at Cuban Salsa create a fantastic environment to learn everything from the basics to advanced levels. They even offer a free taster class so what are you waiting for! Salsaholics Anonymous – The Central Hub for everything salsa in Scotland! SALSA DANCE CLASSES WITH ALEX EL GATO AND LAURA TIGUERONA – Two top teachers running a mixture of classes on Tuesdays for all levels of experience from beginner to advanced classes. A great way to keep fit and meet new people! Salsa is very popular type of social dance that originated in New York during the 1970’s. The dance had strong influences from Cuba, Puerto Rico and elsewhere in Latin America, with dance forms such as Son, Cuban Cha cha cha and Mambo laying the foundations of the Salsa Dance evolution. As the Salsa dance has developed it’s incorporated elements from other forms of dance such as Hustle, Swing, Pachanga and Guaguanco. Salsa itself now has several forms in itself such as Salsa Romántica and salsa dura. Can’t wait to get started? Check out the video and start putting your steps together. Edinburgh Castle – The castle is Edinburgh’s most popular attraction and offers fantastic views over the city. Climb the Scott Monument – The monument was built to commemorate ‘Ivanhoe’, ‘Waverley’ and ‘Rob Roy’ writer Sir Walter Scott who died in 1832. The monument is the tallest of it’s kind at 200ft-high and visitors can climb the 287 steps to the top if they are feeling confident! The Scottish National Gallery & Royal Scottish Academy – These two buildings are linked through an underground tunnel and are well worth a visit. 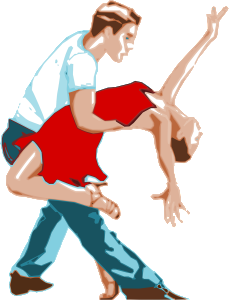 Salsa is an energetic dance, uses a lot of energy and burns a lot of calories. Luckily Edinburgh is loaded with a superb array of restaurants serving some amazing food! If you’re out with your partner why not take your saucy salsa night to the next level by booking yourself a private table in an Edinburgh Restaurant specially designed for a romantic meal for two! One of the greatest shows on earth returns in August to rock Edinburgh once again! The largest arts festival in the world on our very doorstep! With history going back to 1947 it provides an ideal opportunity for young new performers and the creative to experiment, perform, and learn from others. There is something for everyone with so many unique shows, many of which you cant find anywhere else. Shows take place from the 7th of August to the 31st with tickets already available but be quick as many sell out well in advance! Copyright © 2015 Edinburgh Salsa. All Rights Reserved.